Cotton and other lawmakers, including Speaker of the House Paul Ryan, have long accused the administration of paying a “ransom” to the regime, contravening long-standing U.S. practice since the days of Thomas Jefferson and the Barbary Wars. 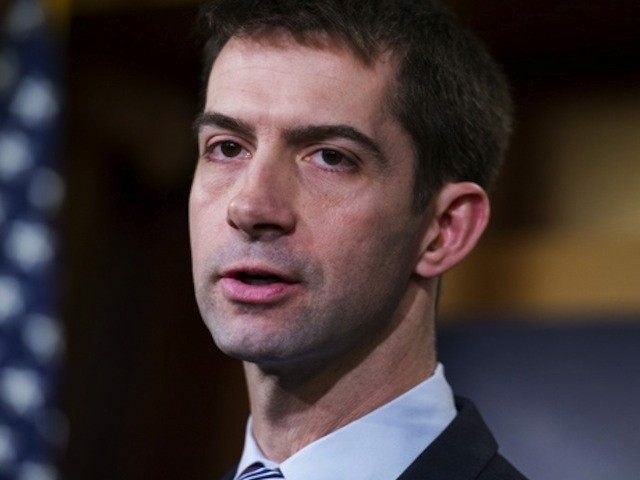 “This break with longstanding U.S. policy put a price on the head of Americans, and has led Iran to continue its illegal seizures,” said Cotton, according to the Journal. The money, the State Department said, was the balance left in a Foreign Military Sales Trust Fund to resolve outstanding claims. The department argued that the deal was actually a “good settlement for the American taxpayer”: “If Iran’s claim for the Trust Fund balance and interest had gone to decision in the Tribunal, the United States could well have faced significant exposure in the billions of dollars … We were able to secure a favorable resolution on the interest owed to Iran … “. However, given the timing of the settlement, which coincided both with the release of four captive Americans and the larger Iran deal, questions were immediately raised about whether the U.S. had, in fact, paid a ransom. The four Americans were traded for 7 Iranians who had been convicted in the U.S. of violating sanctions, as charges were dropped against 14 others. The flow of cash alongside that deal immediately raised suspicions. The secretive manner in which the cash was transferred to Iran, avoiding U.S. dollars and traditional banks, in accordance with existing sanctions, has reinforced those suspicions. Cotton was the lone member of the Senate to vote against the Iran Nuclear Agreement Review Act, also known as the “Corker bill,” which theoretically insisted on the Senate’s constitutional authority to review the Iran deal, but in practice made it easier for the deal to pass simply through a presidential veto of a resolution of congressional disapproval. Ultimately, Senate Democrats filibustered a vote on the Iran deal.